I've got an exciting giveaway for all you fellow broke bookworms! I can count on both hands how many giveaways we've done in almost two years but I COULD NOT PASS THIS ONE UP. CouponCabin has offered us a $100 e-gift card to give away to one of our readers! You could knock quite a few books off your mountain of wishlist books and new releases! 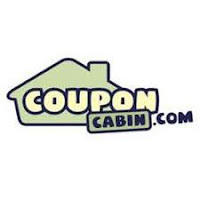 While I'm no extreme couponer, I do always check CouponCabin for just about anything I'm buying online or in-store because let's face it...I live up to the BROKE part of this blog. And hey, if you are the lucky winner who gets the $100 gift card to Barnes and Nobles, you should check out their Barnes & Noble coupon section for deals on things like free shipping over $25! I would for sure pre-order Bitterblue and Black Heart! Two ends to trilogies I love! Oy. You would have to ask an IMPOSSIBLE question, wouldn't you?! ;-) The first book I'd buy would be... hmm... Well, INSURGENT isn't out yet, so - oh- I know! SHATTER ME by Tahereh Mafi. I know I'm late to the game on this one, but it's better late than never, right? :) Thanks for a great giveaway! Hallowed, I think. I want to know what is happening! Oh, the first book on my list? Um...probably the pre-order of Insurgent. But I have no doubt I'd spend that entire $100 in less than 5 minutes. I don't even know! Um...I'm going to go with Incarnate by Jodi Meadows, but there are a TON of books I want! I would like some more of the leather bound classics from B&N, so maybe the Alice in Wonderland one! The Statistical Probability of Love at First Sight. I've had the sample on my Nook FOREVER and it's time to buckle down and purchase it. I would definitely get Pandemonium by Lauren Oliver. I have been waiting for this book since I finished Delirium last year. I would by sacrificial magic by Stacia Kane and then maybe all of the midnight breed books. The first book I would buy would probably be The Complete Claudine by Colette. I've been lusting after that. Oh my goodness -- I think I'd have to say Across the Universe by Beth Revise because I love it but don't own it...it's definitely a keeper. PS This giveaway is insane! Love it! I definitely get The Unbecoming of Mara Dyer. I have heard nothing but good things and have been dying to read it! i'd probably buy the rest of The Iron Fey series first, after that i'd have too many to choose from. First book I'd buy would be A Everlasting Meal. I recently read it and determined it was a keeper. I'd also buy a couple to give away! I would first preorder a bunch of books I'm really looking forward to--Biting Cold by Chloe Neill, Insurgent by Veronica Roth, and Bitterblue by Kristin Cashore. BEST GIVEAWAY EVER!!! First book... Pandemonium? Is Everyone Hanging Out Without Me? Lone Wolf? Can I justsay all of the above simultaneously?! Definitely One for the Money and The Girl who was on Fire and some for my sis! Awesome giveaway!!! The first book on my list would be A Good American by Alex George or The Snow Child by Eowyn Ivey. I've seen so many good reviews for both! I have SUCH a big book wishlist that it is hard to pick the FIRST, but I will go with The Book Thief by Markus Zusak. I have heard such good things about it! I would buy Tolstoy and the Purple Chair. I would get Cursor's Fury, by Jim Butcher. It's the third in a series, I just finished the second book and now I'm lusting after the next one! Thanks for the fun giveaway. I would get A Perfect Blood by Kim Harrison. I think the first one might be to preorder Trail of the Spellmans. Well I have already pre-ordered my top picks like CoLS, Insurgent, Black Heart, Onyx, and Destined, so I guess either This is Not a Test or Glimmer would be next up for sure. My wishlist is enormous and there are sooooo many great books to pick from! I would probably pre-order Kieran Kramer's new book! Oooh! It would be a preorder of Lover Reborn by J.R. Ward. What a great giveaway!! I have so many books on my wishlist. I think my first would be Lover Reborn. I would love to actually own a copy of "To Kill a Mockingbird"
I have a big long list, but probably Pandemonium! This is exciting! Thanks! ooh touch one but maybe the probability of love at first sight or habibi by craig robinson. thanks for the giveaway! Oh man. I would probably purchase a collection of Roald Dahl stories. Oh my, first book?? Probably Graceling, or The Monster Calls, or Divergent, or I DON'T KNOW. I'm seriously dying to read Pure by Julianna Baggot, but I also really need to get some of my faves that I don't own like Delirium and Divergent. Oh gosh. Since I have to pick, I'll say 'Scarlet' by A.C. Gaughen. Read it, loved it, want to own it. The Mortal Instruments series!! Thanks so much for the giveaway! Probably Pandemonium or some classics!! I would get Dances with Dragons. I'd like to get my hands on that fancy pants leather bound Chronicles of Narnia. Being broke it's tough to justify that purchase but if I had a gift card...that's a different story. Oh, gosh. That's a hard one to answer because my Purchase-Wishlist is almost as long as my TBR pile! But I think number one would have to be either an Insurgent pre-order OR Pandemonium OR The Miseducation of Cameron Post. Yeah, it'd have to be one (or all!) of those three! I have been wanting the book Knit One Knit All by Elizabeth Zimmermann for quite some time but it is not cheap. I have a number of other books on a wish list as well such as Joy For Beginners by Erica Bauermeister. Since they'll be released soon, I would pre-order Lauren DeStefano's Fever, Lauren Oliver's Pandemonium, and Dan Wells' Partials. I would order Fever by Lauren DeSteffano, and then have a TON of fun! The first book on my list to buy would be Wither by Lauren DeStefano. I've been dying to read that book!! I would pre-order The Second Empress: A Novel of Napoleon's Court by Michelle Moran and The Queen's Vow: A Novel of Isabella of Castile by C. W. Gortner. Two of my favorite authors are coming out with these new books soon. First on my list is to pre-order Gail Simmons's "Talking with My Mouth Full." I've been wanting to read "The Help". I'm entering on the rafflecopter form under my FB username, Mary Happymommy. I would probably order The Hangman's Daughter by Oliver Potzsch because I really want to read it and the last 3 times I've been to my local B&N they haven't had it in stock. Wow... How did you even get this? Thanks for the super-mega-awesome giveaway! The first book I would buy is The Snow Child... I still have yet to read any books published this year! Love Barnes & Noble, so thanks for the awesome giveaway! Have so many books on my wishlist that I'm not sure where to start! Let's say Pandemonium by Lauren Oliver, as I'm a huge fan. Definitely pre-order Black Heart by Holly Black. Or Timeless by Gail Carriger. Thanks for the spectacular giveaway! the downton abbey companion book! thanks!! I am almost positive I would get a the copy of Cinder. Or Everneath. Or BOTH! Oh man... I would absolutely pre-order The Wind Through the Keyhole, the new Dark Tower book coming out soon from Stephen King! I cannot wait for it. I'm super excited!! thanks for this great giveaway. I would buy Therapeutic of Spiritual Diseases, which is exactly $100! I can't make up my mind on either putting Arcadia Awakens by Kai Meyer in my cart first, or pre-ordering Kristin Cashore's Bitterblue. I'd like to start reading the One for the Money series so that would be the first book! I've really really wanted to read Unsticky by Sarra Manning. I've heard nothing but good things about this book! I'd get "The Diving Bell and the Butterfly" by Jean-Dominique Bauby because I haven't been able to find it anywhere. The first book I would buy would be Third Grave Dead Ahead by Darynda Jones! I don't know whatI will order, but I will put it to good use. There are so many books that I want, but I think the first one I'd get would be Clockwork Prince by Cassandra Clare. Thanks so much for this fantastic giveaway! Awesome giveaway! As a B&N employee I always love gift cards because I can get more with my discount! Right now I really want A Million Suns and The Future of Us. Thanks for the giveaway! Article 5. No, Pandemonium. No, wait... I can't pick just one. I would be buying Dearly, Departed by Lia Habel! I'd buy Pandemonium, Fever, pre-order Insurgent......pretty much any thing i could get my hands on. First on my list is Scarlet, by A.C. Gaughen! The first book that I would buy would probably be Evelina by Fanny Burney (I read it once for a class and am dying to read it again, but sold it back at the end of the semester). The Fine Art of Truth or Dare is first on my list! Since I have already pre-ordered Pandemonium, Insurgent, and City of Lost Souls, I would probably buy Cinder or Everneath. I have read so many great things about those two books that they are next on my list! I would pre-order Insurgent, definitely!! I HAVE to know where the story is heading asap! Thanks for the amazing giveaway! It is really awesome! Thank you very much for the great giveaway! I have to say City of Lost souls can't wait to read that one! I'd get THE DISENCHANTMENTS by Nina LaCour. Well, I want to buy ALL THE THINGS so... yeah. My first book to buy would be Never Eighteen! Norton Critical Editions is about to release a version of Charles W. Chesnutt's The Marrow of Tradition and I'd like to get that, because I'm not only interested in the story but also in the real life coup d'etat that Chesnutt fictionalizes. I'm sure the Norton edition would have lots of good background information on that. It would definitely be the second book in the Hunger Games series!!!! What an awesome giveaway. I know I'm definitely broke and my book buying has been dramatically cut back. I can think of a ton of books and pre-orders I'd use that giftcard for. I would be buying which ever of The Mortal Instruments I'm on at the time. I'm about to start the first book and I have a feeling that I'll need the other ones ASAP! I would definitely be buying up some of the new releases on my TBR pile! Maybe Grave Mercy or Storybound! I'm on a "make me think" roll... Thirteen Reasons Why, The Fault in Our Stars, A Stolen Life, and Trafficked. I tried, but I couldn't chose just one. The first book I'd buy!? Oh man! So many to choose from!! I think it would either be Jodi Picoult's new book Lone Wolf, or preorder Karen Kingsbury's new book, Loving. The first book I would buy? Right now it would be the sequel to the first book in the Foundation series by Mercedes Lackey. I would by The City of Fallen Angels! Fever! or Insurgent whatever makes me more swoony at the moment. Before I go to Sleep by SJ Watson is top of my wanted list! BITTERSWEET by Sarah Ockler. I totally already have it on my Nook but OMG. Have you seen that cover? Honestly. Definitely Tempest by Julie Cross! On Golden Mountain by Lisa See would be my choice. A very generous giveaway, Wow. i would buy north and south by elizabeth gaskell. then i would buy the BBC miniseries that i've heard so much about! Oh, this giveaway! Like manna from heaven! My most urgent bookish need is The Word Made Flesh: Literary Tattoos from Bookworms Worldwide. After ogling Science Ink last month, I'm dying to see this collection of literary tats. Probably Wings of the Wicked by Courtney Allison! The first would be Touch of Power by Maria Snyder. I have about 1100 on my Goodreads to-read shelf so I would would use up the 100 pretty quick! :) Thanks for the amazing giveaway! Wow, this is incredible! I am having visions of actually getting to buy a couple new releases rather than waiting around for my library to acquire them! Bitterblue and The Story of Us are two that come to mind. Amazing giveaway! The first book I would buy is Animal, Vegetable, Miracle by Barbara Kingsolver. Oh, geez, I've had so many in my head I don't know where to begin. I know it sounds strange because they're not really "books", but I've been wanting the Walking Dead comics since my family and I have been watching the show. If were not counting comics (which I'm sure we're not) then, some Ray Bradbury or maybe one of the really nice Annotated books that Barnes & Nobles sells, those would be nice. Wow, this is an incredible giveaway! Thanks so much for hosting this! If I were to win this giftcard, the very first book I would buy would be Wither. It’s been out for a while, but just lately I have been hearing so many phenomenal things about it. I am eager to hear what all the fuss is about! Awesome giveaway! The first book I would get is A Million Suns by Beth Revis. What a generous giveaway! I would buy a copy of Anna and the French Kiss because the first time I read it, it was a library book. I would order Complete Works of Shakespear or Sappho!!! I would order Phineas Finn by Trollope! The first book I'd buy would be House Rules by Jodi Picoult. I've been wanting to read it for a while now. I want to be nerdy and say I would buy an academic monograph, probably Jasbir Puar's most recent one, but in terms of fiction, I would R. Zamora Linmark's Leche. I think my first purchase would be to preorder Home by Toni Morrison! Also ... isn't Rafflecopter great? We're all over it at The Blue Bookcase. I need to fill out my Albert Camus and Angela Carter collection, and it's difficult to find other Carter books in actual bookstores. So this would be pretty incredible. Also, I'd like to own a copy of Jorge Luis Borges' Labyrinths. So much to buy, so little money. I would get The Girl Who Played With Fire first! And maybe another Gabriel Garcia Marquez book since I just finished and loved One Hundred Years of Solitude. The first book I'd buy would be cookbooks. It would be so much fun to go on a cookbook shopping spree! I would buy Whip Smart by Melissa Febos. I'm currently debating over whether to buy it as HC, PB, or ebook, since they're only 50 cents difference! Wow....hmmm....the first book would probably have to be....Under The Never Sky by Veronica Rossi. I keep hearing great things about that book and I really want to read it so badly. FEVER BY LAUREN DESTEFANO WHICH COMES OUT TODAY. AHHHHHHHH. A Perfect Blood by Kim Harrison!! I would preorder Insurgent by Veronica Roth! OK, that really isn't a fair question at all. I think I'd go for the complete Remembrance of Things Past since it's always broken up in weird ways and I just want to read the whole thing start to finish in one translation. The first book I would buy is the new Annotated Peter Pan! The first book I would buy would be The Year of Living Biblically: One Man's Humble Quest to Follow the Bible as Literally as Possible by A.J. Jacobs. That's a tough question, and I know my answer varies from day to day. I'd buy Other People We Married. The Savage Grace by Bree Despain. I've been waiting for this book for a long time and can't wait for it to release next month! Thanks to all for this giveaway!!! I would buy Joanne Fluke's newest, as well as George R.R. Martin full set. I would buy some classics that have been on my to-read list forever: Middlemarch or Anna Karenina. Thanks for the giveaway! Great giveaway! I would buy the Sookie Stackhouse series. I have been wanting to ready them! I want to get Control Point (Shadow Ops #1) by Myke Cole. What a great opportunity to win here! Thanks! I would totally buy The Statistical Probability of Love at First Sight. There are soooo many books on my TBR list right now, but if I had to pick just one, probably Cold Vengeance by Douglas Preston & Lincoln Child because it was just released in paperback! The first book I would buy is Fever by Lauren Destefano or Croak by Gina Damico. I would buy The Arrival by Shaun Tan.